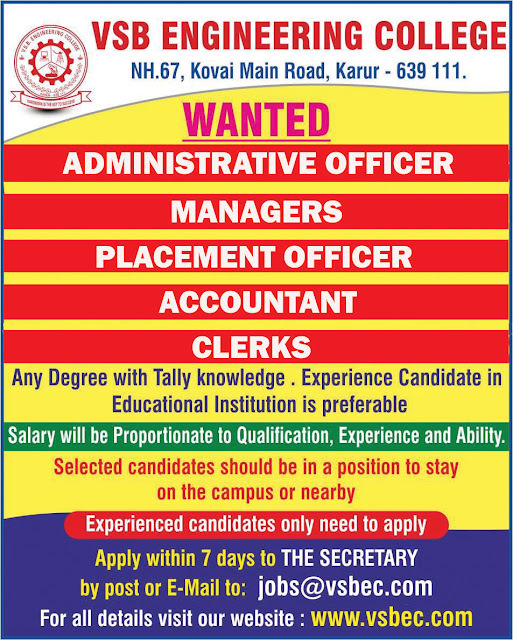 VSB Engineering College, Karur has advertised for recruitment of Non-Faculty jobs vacancies. Interested and eligible job aspirants are requested to apply within 07 days from 21st July 2018. Check out further more details below. Any Degree with Tally Knowledge. Experienced candidates will be preferred.